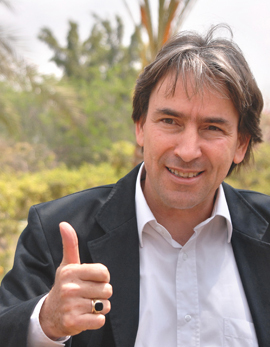 SEKEM is a unique and pioneering sustainable development in the desert of Egypt, first started by Egyptian pharmaceutical chemist & entrepreneur Dr. Ibrahim Abouleish. At its core, SEKEM's vision and mission is to care for the community, individual human development and preserving nature. This is supported by honest, real and united action, with notions and practice of sustainability, environmentalism, humanity and education. Overall, creating a responsible society. Due to its ongoing success and prosperity, SEKEM has since become a role model for much of the world. In fact, many scientists, influential economists and politicians who strive for renewal in the Middle East & Africa region, as well as in other parts of the world have come to seek SEKEM's guidance. 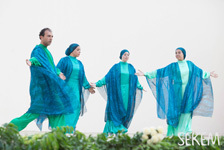 Over the years, SEKEM has also received international recognition, with many awards and accolade from various major bodies, including the Alternative Nobel Prize in 2003, the Right Livelihood Award, which was officially presented to Dr Abouleish in the Swedish Parliament in December 2003, and the Business for Peace Award in 2012. The Right Livelihood Awards Committee perfectly summed up the SEKEM initiative when presenting the award in 2003: SEKEM (Egypt) shows how a modern business can combine profitability and engagement in world markets with a humane and spiritual approach to people and respect for the natural environment. The Jury sees in SEKEM a business model for the 21st Century in which commercial success is integrated with and promotes the social and cultural development of society through the 'economics of love'. People did not believe that the SEKEM vision would ever come to be realised. 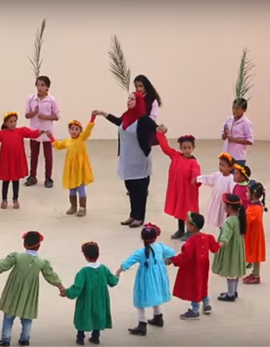 But after decades of successful operation and prosperity, it's fair to say that SEKEM has become an inspiration and role model for sustainable development in Egypt, the region, and globally. a people where modesty and diligence prevails over vanity and comfort, and all endeavours are blessed. SEKEM was founded with the idea of sustainable development and giving back to the community. The vision that brought Dr. Ibrahim Abouleish to dig the first well in the vast Egyptian desert land still resonates in SEKEM's approach in conducting business. Like a compass, the project's vision, mission and values point to the right path in the everyday work and life. locally and globally advocate for a holistic approach to sustainable development. In the beginning, there was nothing but arid land and emptiness. 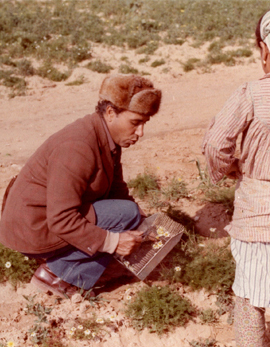 In 1977, Dr Abouleish bought 70 hectares / 172 acres in the Egyptian desert, about 60 kilometres / 32 miles north-east from Cairo. At the time, he was working as a pharmaceutical researcher in Austria, as well as studying more closely anthroposophical philosophy, when he and his family finally decided to return to Egypt, his country of origin. Bio-dynamic farming methods and new water irrigation systems were used to assist in turning the dry land into fertile soil for agricultural crops (vegetables and medicinal plants), plenty of trees, and maintenance of the landscape. Overall, sustainability was the goal, both in an environmental and economic perspective. But at the same time, creating a space where local communities can benefit. We should cherish any flower that can grow and flourish in the desert, and learn from its wisdom, passion and science. 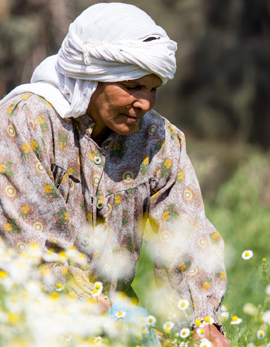 Today, SEKEM has cultivated its own Biodynamic farms and with the establishment of the Egyptian Biodynamic Association (EBDA), has helped over 700 farmers in Egypt to shift from conventional to organic agriculture and sustainable farming. Various companies have been established in the field of agriculture and cattle management, phytopharmaceuticals, organic textiles and clothing, as well as organic food and beverage production (now a market leader in Egypt). Furthermore, SEKEM established the independent SEKEM Development Foundation (SDF), which is operating various schools, a kindergarten, a vocational training centre, a medical centre, among many other projects. The latest achievement was the establishment of the Heliopolis University for Sustainable Development, which successfully started its operations in 2012. As we grow we learn, and in the process, should positively contribute to our societies. SEKEM's development over the years is an inspiring achievement. 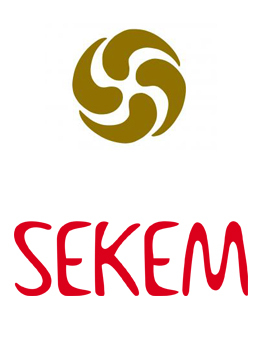 The SEKEM Group includes several prospering businesses that produce a range of products for sale in Egypt, Germany, Austria, Switzerland and internationally, including agricultural foodstuff farming, the cultivation, processing and marketing of fresh and dried medicinal plants and organic cotton clothing lines. Over 2,000 hectares (approximately 5,000 acres) of land belonging to SEKEM, as well as leased areas are used by these businesses. SEKEM is also very active in marketing its products in each market, as well as the products for a further 400 cooperating farms along the Nile. 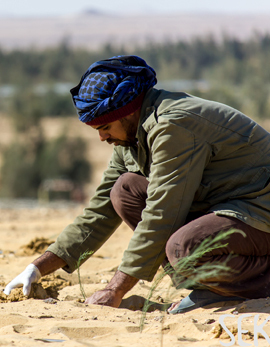 For several new major projects, SEKEM bought about 1,000 hectares of the desert, now wide green areas at the banks of the Sinai, as well as areas in Minya, Middle Egypt. The bio-dynamic cultivation of dates in the oasis of Bahariya has already been a great success. Producing great organic products for people around the world, whilst at the same time benefiting the land, and the local communities that cultivate it. That's Win Win Win! Diverse base in ethical business with organic products sold internationally. This contributes towards SEKEM's economic viability. In our new global village, focus on local wellbeing and its connections to the outside world must be the way forward. Providing basic human rights in society that allow each of us to live in freedom and harmony, but also to motivate and inspire in creation and development. This, to the benefit of our people and of mankind. 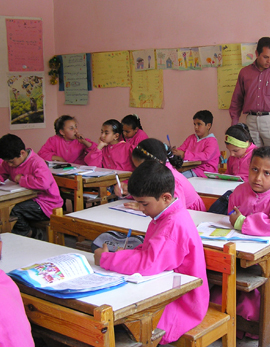 Part of SEKEM's mission was to help educate local communities, especially in rural areas of Egypt, where farm-working children never had the opportunity to go to school and receive a proper education. In 1988, the first kindergarten was established at SEKEM. Only one year later, a SEKEM school was founded and today, over 250 pupils from grades 1 to 12 attend. In 1996, a Medical Care Centre was officially opened, which over the years was used by over 2,000 employees and 35,000 locals. In light of its demand, this centre was expanded in 2007. One year later, a vocational training centre for adolescent and young adults was opened so that they could learn how to work and create with their hands, such as with wood, metal, electrical technology, textiles/needlework and other materials - for all kinds of production and handicraft. In 1999, the Academy for Applied Arts and Science (now part of Heliopolis University, Cairo) was founded and started practical research in order to find solutions to today's problems in the fields of medicine, pharmacy and agriculture, as well as education in arts. In August 2009, the Heliopolis University was granted permission to take up activities. The capital of SEKEM Group is managed by the SEKEM Development Foundation. Profits are re-invested back into the organisation, to the benefit of the business, such as in construction, research, development and innovation, and to the socio-cultural benefit of the people of SEKEM and the wider local/partner communities. This is sustainability. Part of SEKEM's key purpose is to support local cultural and social welfare; such as in medical, housing, education, and the arts. Good business is impossible without good relations; friendships and strong partnerships. From the very beginning, SEKEM understood that its great vision can only be realised with a great network of partners and friends. Since 1977, SEKEM has been working closely with partners in Europe and around the world, in a fair and transparent way, whilst continuing to expand its network. Indeed, SEKEM would not have been possible without these longstanding collaborations. The European Triodos Bank finances companies, institutions and projects that add cultural value and benefit people and the environment, with the support of depositors and investors who want to encourage corporate social responsibility and a sustainable society. Triodos Bank has won the Financial Times Sustainable Bank of the Year Award 2009. OikoCredit, Ecumenical Development Cooperative Society U.A. is a cooperative society that offers loans or investment capital for micro-finance institutions, co-operatives and small and medium-sized enterprises in developing countries. It is one of the world's largest private financiers of the micro-finance sector. As a co-operative, OikoCredit finances and invests in fair trade organizations, co-operatives, micro-finance institutions, and small to medium-sized enterprises in 63 developing countries, with the aim of affecting positive social change. DEG is part of the German Development Cooperation. It promotes the private sector as the engine for sustainable growth. DEG's corporate bodies are KfW as its shareholder, the Supervisory Board and the Management Board. DEG has been financing private-sector investments in developing countries since 1962. By promoting private sector development, DEG contributes to the creation of jobs and income and to better living conditions in the partner countries. The Bio-Verbraucher e.V. is a non profit organisation based in Nuremberg, Germany. 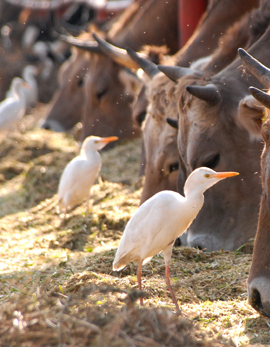 The NGO promotes the ideas of organic and biodynamic agriculture and products with all its values, such as animal welfare, careful and conserving processing of biodynamic products and the rights of the consumer. The Bio-Verbraucher e.V. is strictly against genetically modified organisms (GMO). Since 1927, Demeter has been the trademark for products of certified biodynamic production. Demeter International is the largest certification organization for biodynamic agriculture, and is one of three predominant organic certifiers. Its name is a reference to Demetra, the Greek goddess of grain and fertility. Demeter Biodynamic Certification is used in over 50 countries to verify that biodynamic products meet international standards in production and processing. The Demeter certification program was established in 1928, and as such was the first ecological label for organically produced foods.